We are proud to have been providing dedicated pediatric care to infants, children, and teenagers in our community for over 50 years. We believe that building a consistent relationship with a pediatrician is an important way you can help ensure the best possible health for your children. Our aim is to provide a medical home for your family. It is a privilege to get to know you and your children as we watch them grow over the years! Thank you for your trust in helping you meet the joys and challenges of raising a family. Please take some time to explore our new website! You will find a wealth of information about our office as well as numerous articles on child health. We also welcome your feedback, so feel free to leave us a comment on our survey page. We will update our practice news section often, so check back frequently for timely information about our practice and other health topics. 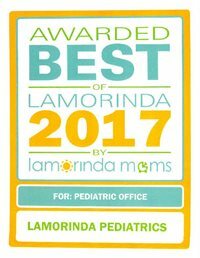 If you are a mama in our practice who would like some breastfeeding support please give us a call to schedule an in-office consultation with Jasmine. We are excited to announce that we are partnering with CHADIS for the well-being of your child!